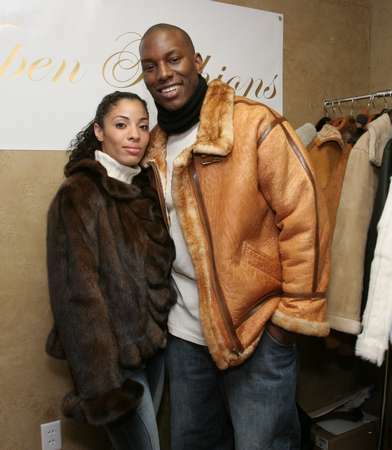 Tyrese Gibson wearing the Rust Shearling Bomber Jacket, Model 192 and his Norma wearing the Mink Bolero, Model 630. Tyrese Gibson, model, actor, movie credits include Anapolis, Flight of the Phoenix, 2 Fast 2 Furious, Baby Boy, Love Song. TV appearances include Essence Awards, The Teen Choice Awards, BET Awards, MTV Movie Awards, Soul Train Music Awards, American Music Awards, Miss Universe Pagaent (judge), Tinseltown TV, Star Search, Who Wants to be a Millionaire, The Late Show with Craig Kilborn. One of People Magazine's Sexiest Men of the Year.